Family adventure tours are specially designed tours to suit all age groups, you can do various treks with your young children and provide them education, fun and safe environment. All treks are graded 'easy' so that children can walk portions of the trek or all of it as they want. Our family adventure trek itineraries include plenty of time to rest, relax and have fun, as well as exciting and interesting experiences including visits to temples and street markets, city sightseeing, mountain flights, driving through stunning landscapes, gentle rafting and safaris. Trekking alone is not bad or wrong but a constant feeling of missing family members back at home can surely be. Some of the most enjoyable family treks in India, especially in the Himalayan region, are going to be a part of this section, so that dear ones are not to be left at home just because the treks are too difficult for them to accomplish. Family treks generally require a physically fit body on the move, with tag “Age No Bar”- be it a kid or an older adult of the family. Getting them equipped with right gears and informing them about the environment as well as the region of the trek is all needed to keep them safe on the journey, not to mention engaged as well. 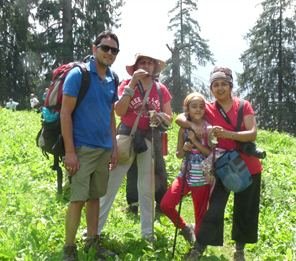 Never before there would have been such an opportunity to bond like on these family trekking holidays. 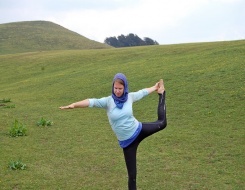 Trekking is only one aspect of the complete experience of this group adventure. Local sightseeing, exploring local market and visiting to popular temples in the area in addition to the binding sceneries of mountain landscapes makes for the treasure every trekking might be in search of. With ample scope of proper resting, relaxing and stretching to shrug off weariness, family trekking tours in India on easy terrains are the best way to immerse in Nature with precious ones. Be prepared for the imposing mountains, snow, high altitude meadows and lakes, unique birds and wildlife and some ‘never-before’ clicking opportunities. Facilitated by different types of transportation modes and accommodations as suitable, the trip to some of the most popular family treks becomes exemplary. The list includes Singalila, Valley of Flower, Har Ki Dun, Bedni Bugyal, Sham Valley, Nag Tibba and more. Choosing one of these treks seems difficult to take your family to, isn’t it?